outdated small bedroom – Modernizing the outdated look of a bedroom usually doesn’t require major changes, such as altering windows, walls or electrical service. Carefully selected changes in paint, window coverings, lighting and bed linens can significantly modernize the look. If the bedroom is small, a feeling of greater spaciousness can be created by reorganizing its closet, rethinking storage and reducing clutter. Mirrors also affect ambience and a room’s feeling of depth. Don’t limit yourself to white paint. Light colors, in general, can create a feeling of greater spaciousness. This Old House suggests a number of ways to play with interior color. One idea is to choose a color for the walls — such as a light, mossy green — and then draw out distinguishing architectural features, such as trim, with paint that is a shade lighter or darker than the wall color. Attention can be drawn upward by painting the ceiling a cool white. 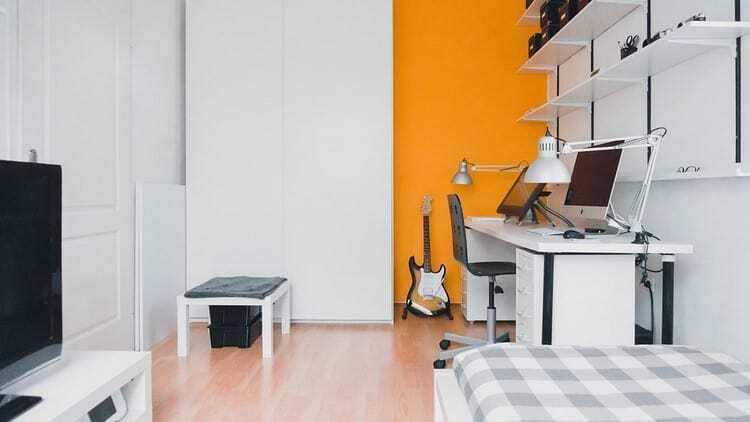 Dramatic colors, such as a splash of sky blue, can highlight the dormer or the back of a built-in bookcase will modernize outdated small bedroom. Heavy, formal drapery weighs down a small interior. Airy, lacy curtains, bottom-up blinds or pleated shades can lighten the room’s appearance and avoid cluttering wall space. 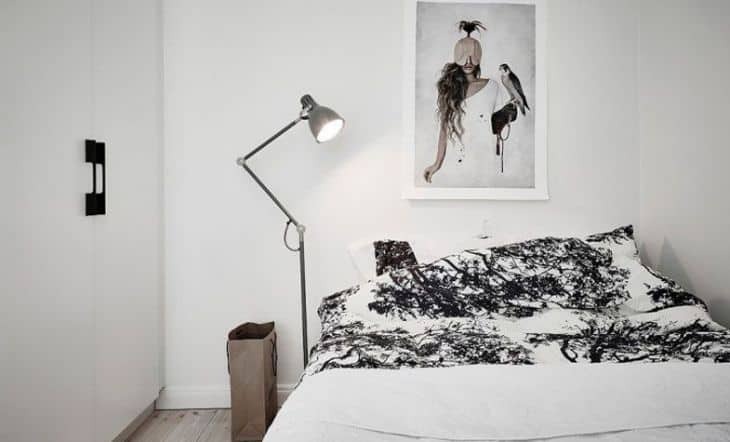 Bedside lamps are an important amenity in addition to central lighting. Although an attractive table lamp may look cozy, it can be awkward on a cluttered bedside table. Wall-mounted light cans that plug in to wall outlets can be placed on either side of the bed and are an inexpensive solution. Similar to fresh paint, new bedding can spark up a tired room. A bed skirt not only adds a decorative look, but can hide containers stored under a bed frame. Adding a table skirt to a utilitarian bedside storage table can add color to the room while covering up what would otherwise look like clutter. Murphy wall beds are another space saver, but can’t really be called modern since they were invented in 1918. Tucked up into an enclosure added to a wall, a Murphy bed can be a particularly efficient solution to creating additional space in a child’s bedroom where minimal floor space is available for play. Another space-saving choice is a platform bed with a frame containing drawers. It can eliminate the need for a bureau. Outdated small bedrooms usually lack sufficient closet space. However, even a tiny closet can be reorganized for more efficient use. Closet organization systems can be expensive, but can be mimicked somewhat. For example, tees and sweaters, which would otherwise take up lots of hanging space, can be stored in hanging canvas shelf organizers. Over-the-door shoe holders can leave floor space for other items. Finally, when your closet door is shut, it can act as a decorative element if covered with a large mirror. If the closet faces a window, the mirror will be particularly helpful in bringing the outdoors inside and creating a feeling of extra space.